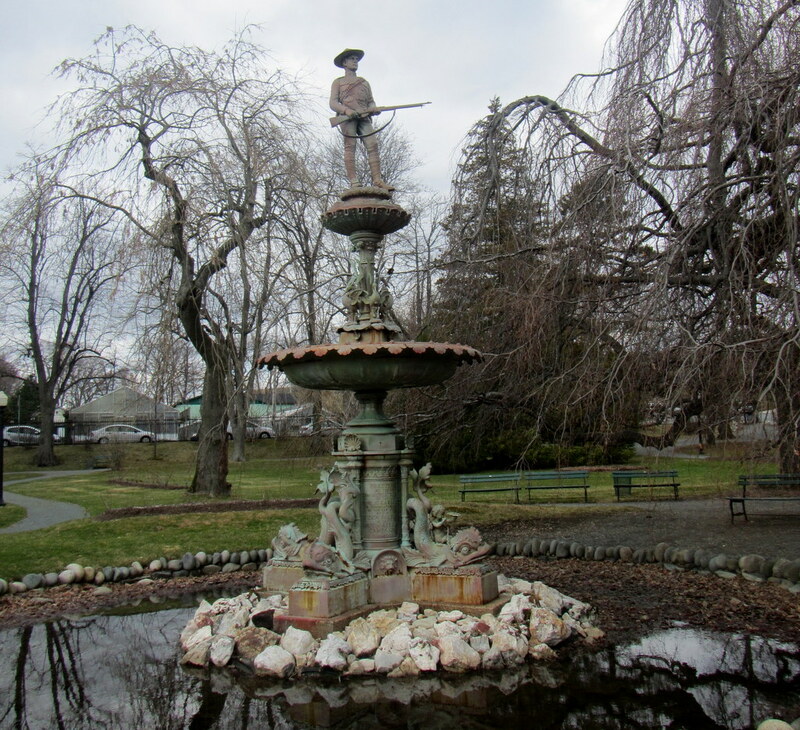 The fountain was erected in 1903 in the Public Gardens to commemorate our “citizen soldiers” who had fought in the extremely problematic Boer War in South Africa. 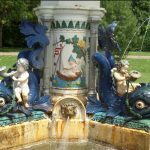 That colonial conflict was more than sad, but what interests me is the design and manufacture of the fountain, and I wrote about that in a post several years ago. 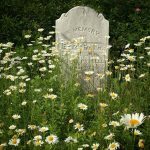 Tim’s comments that “we ought to blow the thing to smithereens simply on artistic grounds” and “can I just note that this memorial is, well, schlock?” encouraged me to look at how other communities around the world, who own nearly the identical fountain, treat their piece of “schlock”. 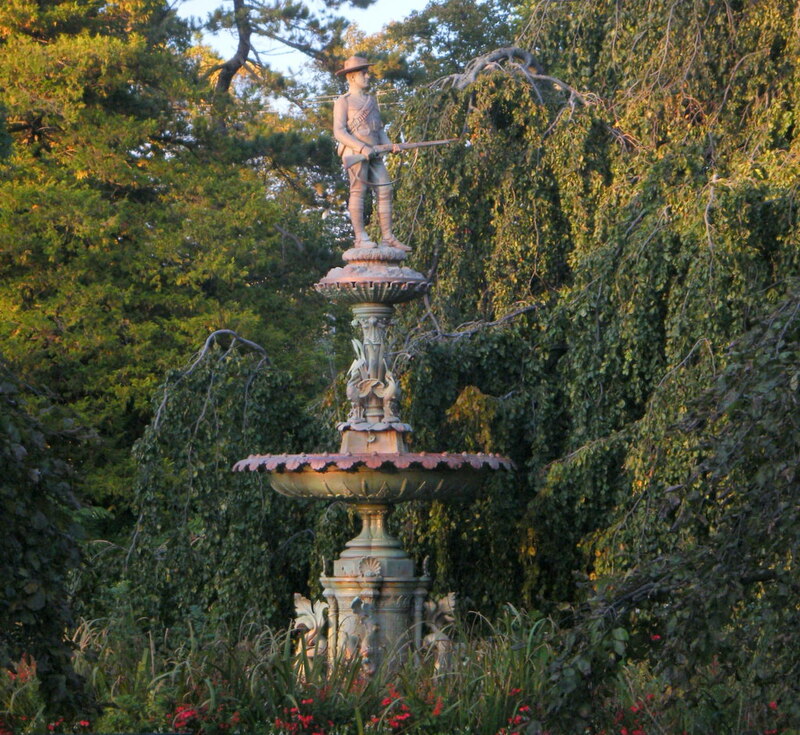 The fountain in the Public Gardens was purchased from the huge Walter MacFarlane ironworks in Glasgow, Scotland. 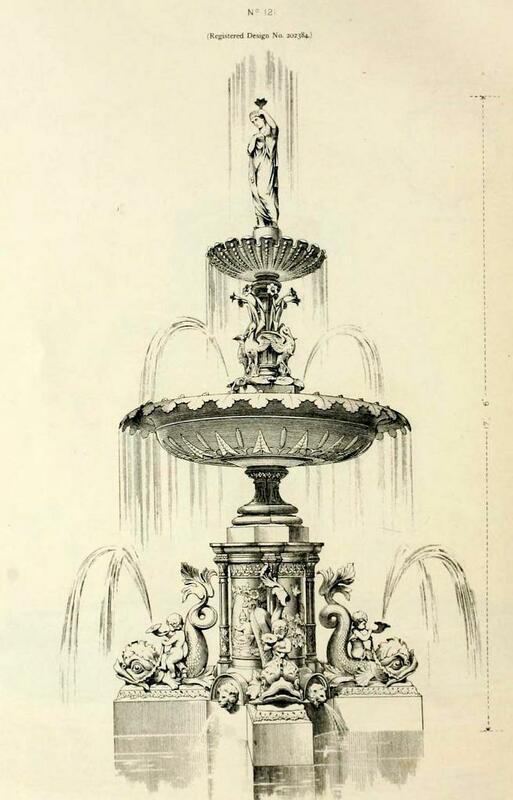 Our version was customized with a soldier on top but many other toppers were available, like the classical lady shown in this illustration in a MacFarlane 1885 catalogue. So here we go. 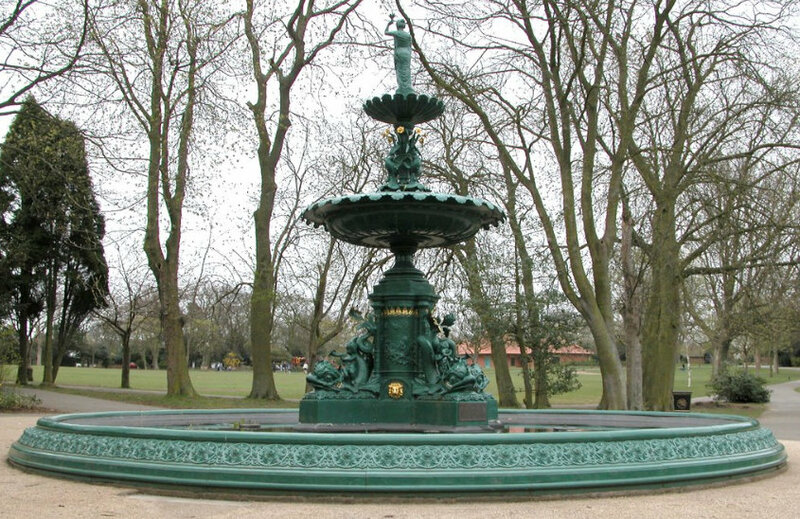 One of the best looking examples of this fountain design is in Ward Jackson Park in Hartlepool, in North East England. 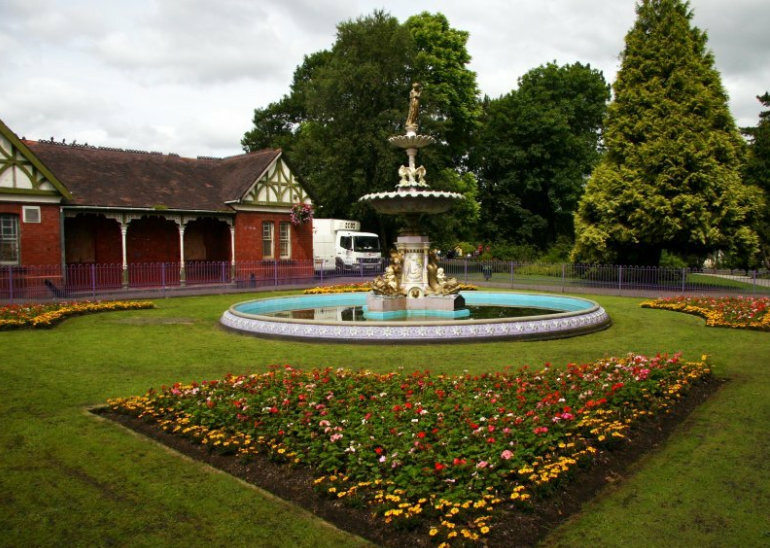 It was erected in 1902 and is now a Grade II listed monument. 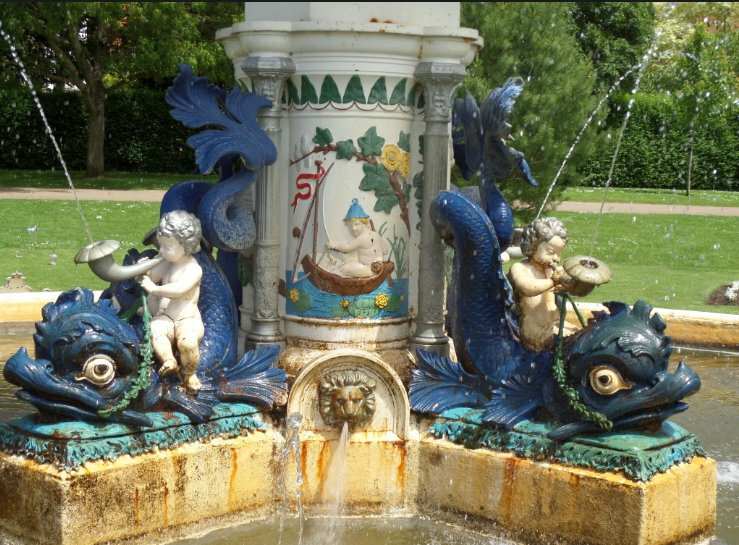 This detail photo shows the exuberance of the horn-blowing cherubs astride their sea creatures. The colour scheme is reminiscent of the wonderful restoration of the Victoria Fountain in the Public Gardens. 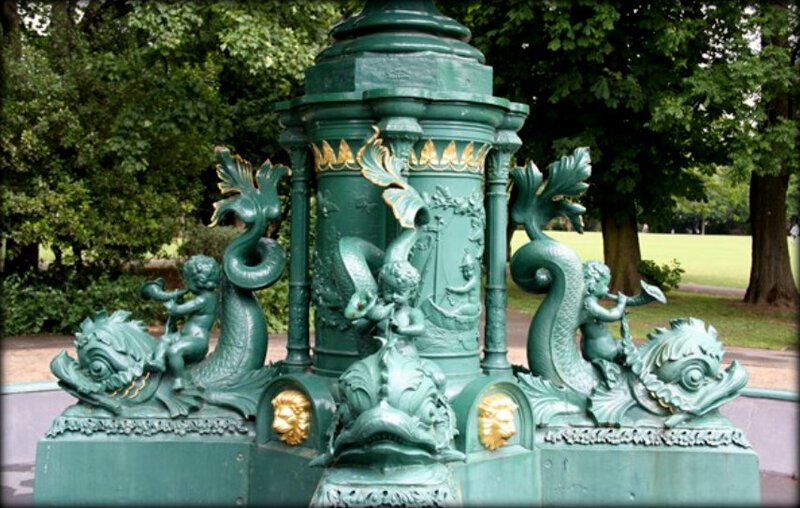 Compare that to the big painting mistake that was made on the 1907 fountain in Vivary Park in Taunton, Somerset. 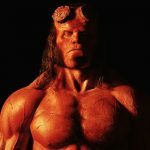 Even I would admit this approaches the schlock zone. Perfect for a sunset shot though. 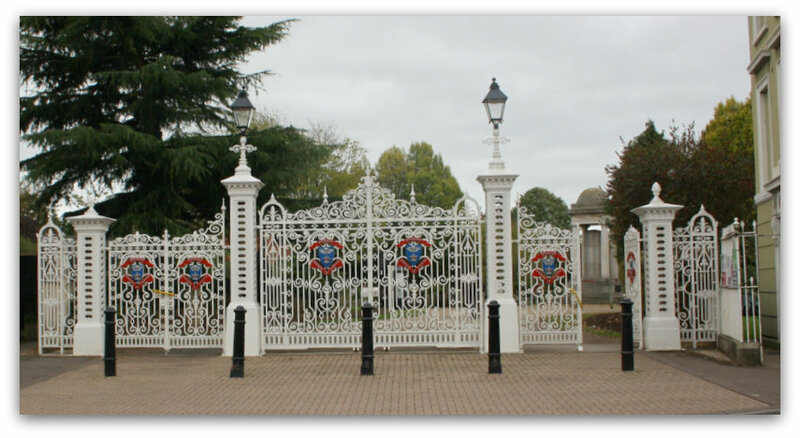 In another twist, Vivary Park has monumental iron gates made by MacFarlane. Our Public Gardens gates are MacFarlane as well, but a different design (see my post about them here). 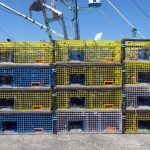 Are you beginning to see the pattern? 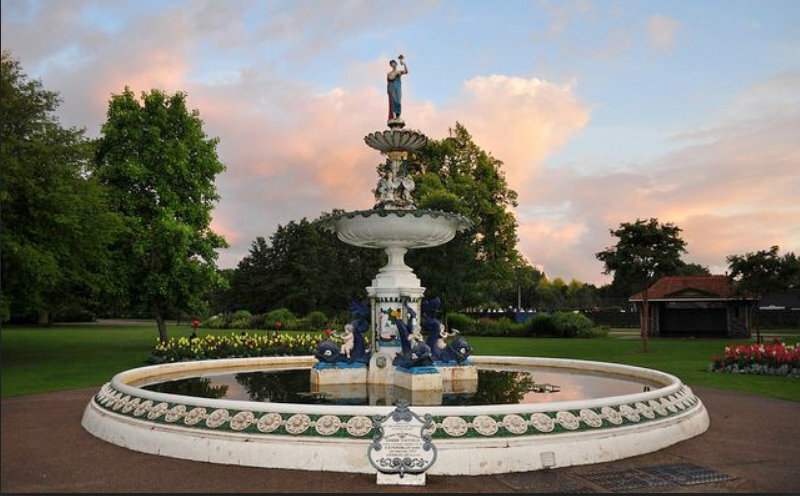 All of these fountains are located in late Victorian parks, in provincial towns. 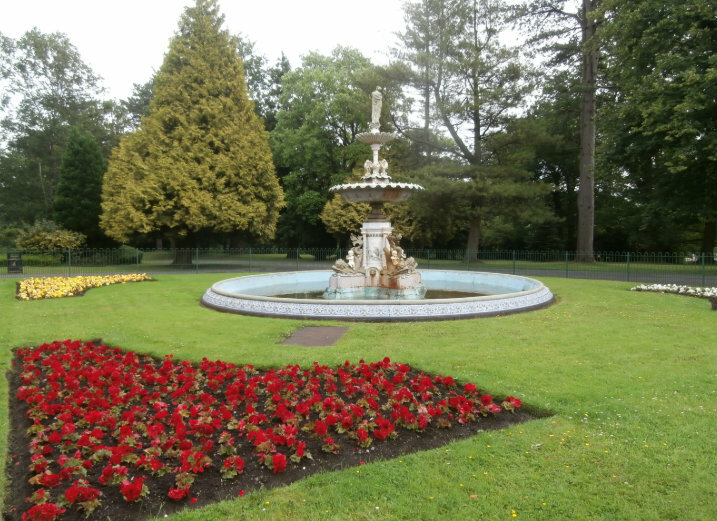 Here’s yet another example in Aberdare Park in the village of Trecynon, South Wales. 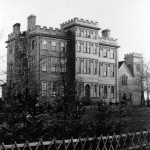 MacFarlane shipped their products around the world. 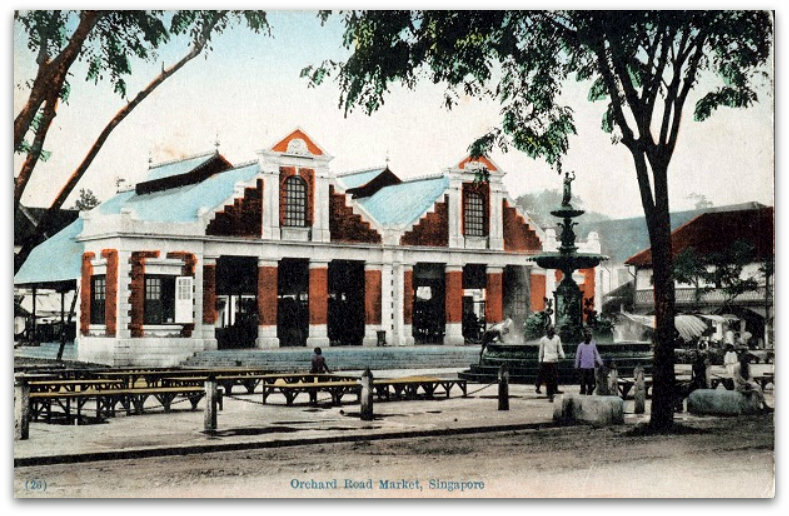 At the beginning of the last century, if you were a Nova Scotian sailor washed up in Singapore and nostalgic for home, you could gaze upon those familiar horn-blowing cherubs on the fountain in front of the Orchard Road Market. There’s another glimpse of that fountain through the gate. 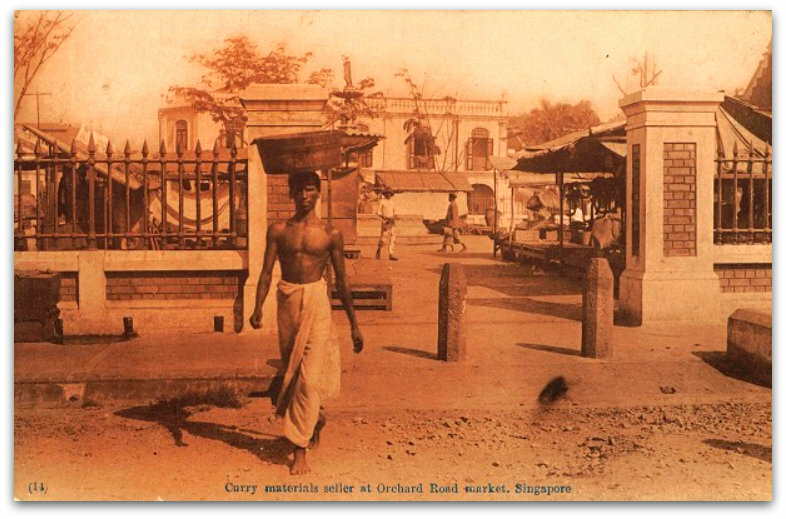 The Singapore version of the fountain moved several times and then was misplaced for some years. 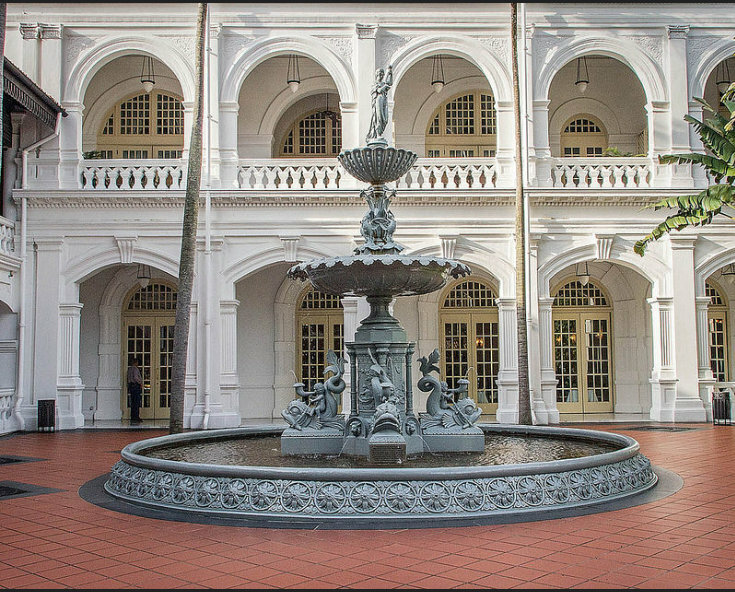 It has now resurfaced, has been restored, and is installed in the Palm Court of the famous Raffles Hotel. You may remember that sometime before 1915, Ngiam Tong Boon, a bartender working at the Long Bar in Raffles Hotel, invented the Singapore Sling. 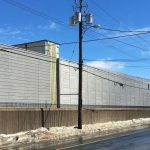 The fountain design, that many of us in Halifax treasure, is also cherished in other communities. 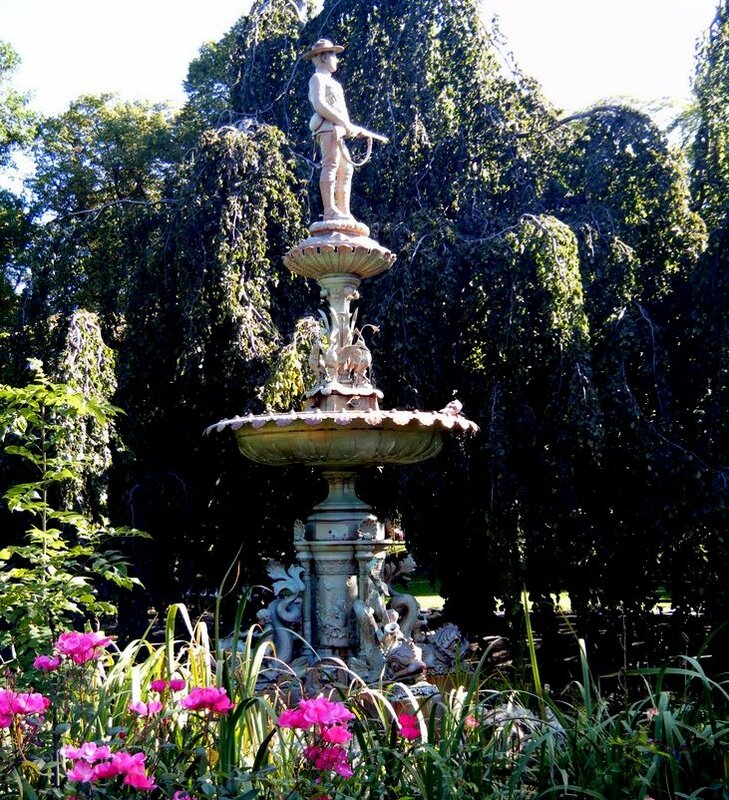 Surrounded by some of the most beautiful trees in the city, our fountain has the best siting. 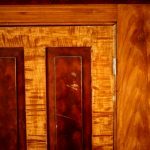 It has a picturesque informality because we didn’t order the cast iron basin seen in the other examples. And Tim reminds us that beauty is often in the eye of the beholder. 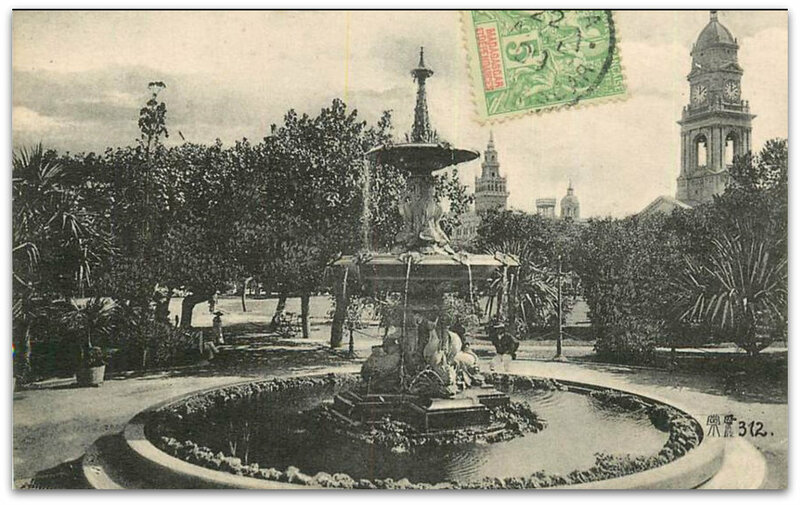 Ironically, while searching for examples of our South African Memorial Fountain, I came across a MacFarlane fountain in Durban, South Africa that was a very similar design.